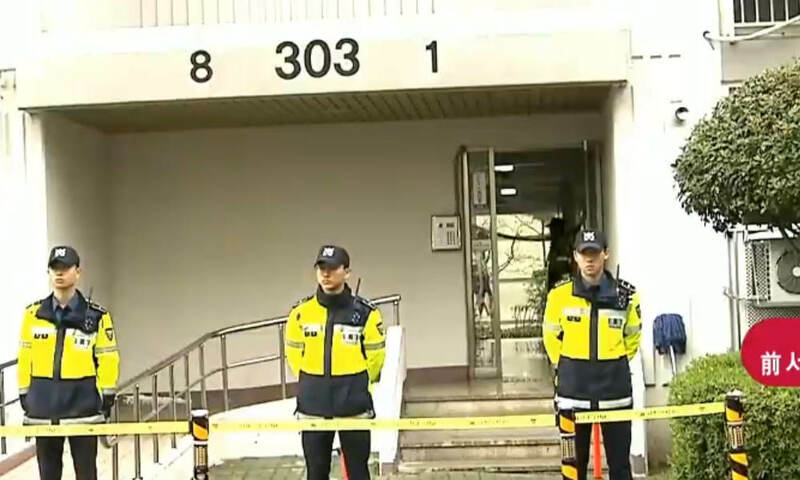 The attack happened just before 4:30 a.m. local time on Wednesday when a fire broke out on the second floor of an apartment building in Jinju, a city about 280 kilometers (175 miles) southeast of Seoul. Police said the man who set the fire was armed with a knife and attacked people in the building’s stairway as they tried to flee. Photos from the scene showed the ground near the entrance covered in blood. Five people were killed, including a 12-year-old girl, a woman in her 30s, two women in their 60s, and a man in his 70s, according to Yonhap. Another 13 people were injured, including 3 people who remain in critical condition. The motive for the attack was not immediately clear. The suspect told police that he was angry about overdue wages, but the 42-year-old man is unemployed and has a history of schizophrenia, according to Yonhap.